As the EHA is entering its second decade of promoting hydrogen as a clean and flexible fuel, marked with a re-vamped website, EU policy makers increasingly consider the requirements of the use of hydrogen in their new policy. The report of the Commission’s Future Transport Fuels Expert Group (see under EU Policy), that was presented on Janaury 25 by EU Transport Commissioner Kallas, to which the EHA contributed, included a large section on the role of hydrogen in decarbonizing Europe’s transport. The EHA, together with the FCH JU, NEW IG and HyER (formerly HyRaMP) sent a joint letter to the EU Energy Council of February 4 to draw EU ministers’ attention to the role of hydrogen in making grids smarter and help solve the considerable energy storage needs Europe’s electricity system will be facing in the next decades. 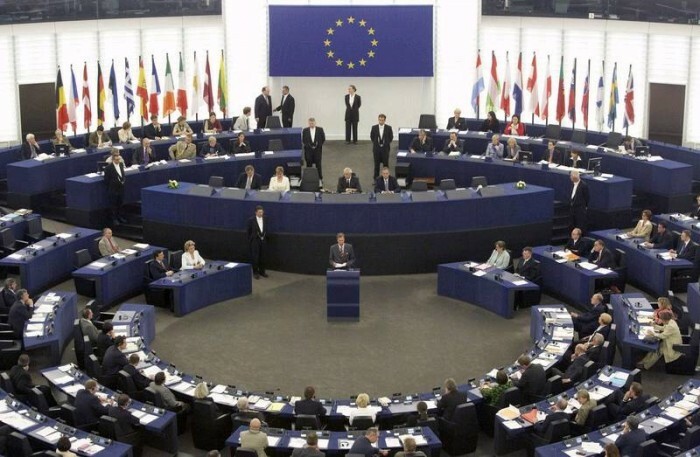 This will also be the topic of an EU Parliament seminar on March 16, 2011, sponsored by the ALDE Group to which the EHA is invited to contribute. 18 March, 2011The 2011 Norwegian Hydrogen Forum will be held March 29th in conjunction with the launch of 5 Think Hydrogen passenger cars in circulation in Norway. The vehicles are part of the HyNOR project which includes the building of a new hydrogen refuelling station in Lillestrom, Norway. The new station has begun building and is planned to be concluded in November of this year. The Vehicles have 10kW FC (range extender) and a total range of 250 km. The 5 Thinks will be spread among various users including a local energy company, The Institute for Energy Technology (IFE), and one will be kept by the Norwegian Forum for car pooling. .. .. ..
3 March, 2011On December 14-16 2011, the 4th European Fuel Cell Technology & Applications Piero Lunghi Conference and Exhibition will take place in Rome Italy. This year’s conference edition will hold a series of scientific sessions and leading researchers and scientists are invited to come from all over the world. The submission of abstracts of is now open. Authors are invited to submit abstracts until 1st April 2011. 5 February, 2011The national association Bulgarian Hydrogen Society (BG H2 Society: www.bgh2society.org) has been found to join the scientific potential of our country and to coordinate the realization of the Hydrogen Technologies in the Republic of Bulgaria. With the participation of Paul Lucchese, President of the New European Research Grouping on fuel cells and Hydrogen (N.ERGHY), Paris, France. 4 February, 2011The Sustainable Hydrogen Evaluation in Logistics (SHEL) project was kicked off on January 26 &27 in San Sebastian Spain at the CIDITEC Technological Park. The main aim of this project is to demonstrate the market readiness of fuel cell applied materials handling vehicles and associated hydrogen refuelling infrastructure. It will demonstrate 10 FC Fork Lift Trucks and associated hydrogen refueling infrastructure across 3 sites in Turkey, UK, and Spain. EHA is the dissemination partner for this project. . . .
2 February, 2011The Association Française de l’Hydrogène will attend the Renewable Energy Fair being held in Lyon Eurexpo of 15 to 18 February 2011. AFH2 will have a stand and it will participate in the workshops “Hydrogen / Fuel Cell” that will take place Thursday, Feb. 17, from 10:30 a.m. to 5:30 p.m. in the European Energy Research. The program of these workshops is available by clicking here .